A federal District Court decision today voids a land exchange deal between the Interior Department and the King Cove Corporation that attempted to trade away vital wetlands and wilderness to build a road through the Izembek National Wildlife Refuge. Trustees filed the lawsuit in January 2018 on behalf of nine clients. This is a huge win for public lands and wildlife, and another Trump administration decision thrown out by the courts. Former Secretary Interior Ryan Zinke, who later resigned because of ongoing concerns about and evidence of corruption and conflicts of interest, made a backdoor deal with King Cove and the State of Alaska as part of the Trump administration’s ongoing effort to do a public lands yard sale to benefit huge corporations. Our lawsuit argued that Interior cannot use the land exchange provision of the Alaska National Interest Lands Conservation Act to gut a National Wildlife Refuge and Congressionally designated Wilderness—or to circumvent public process, environmental review, and congressional approval. The Court agreed. It held that Interior failed to explain its decision to enter the Exchange Agreement with King Cove, in light of its previous decision that alternatives to a road exist and that a road would cause significant environmental harm. The errors in Interior’s Exchange Agreement were so egregious that the Court vacated it. Private interests have been trying to put a road in the refuge for decades, citing commercial interests. A huge Japanese cannery operates in the area, along with businesses that support its operation. Proponents of the road more recently started claiming that the road would allow for emergency medical access, despite studies showing that cheaper, safer, more reliable ways of getting people to emergency care exist. Allowing a road through Izembek would set a precedent that would imperil the entire Refuge System. Nearly all of Izembek’s 300,000 acres is congressionally-designated Wilderness. 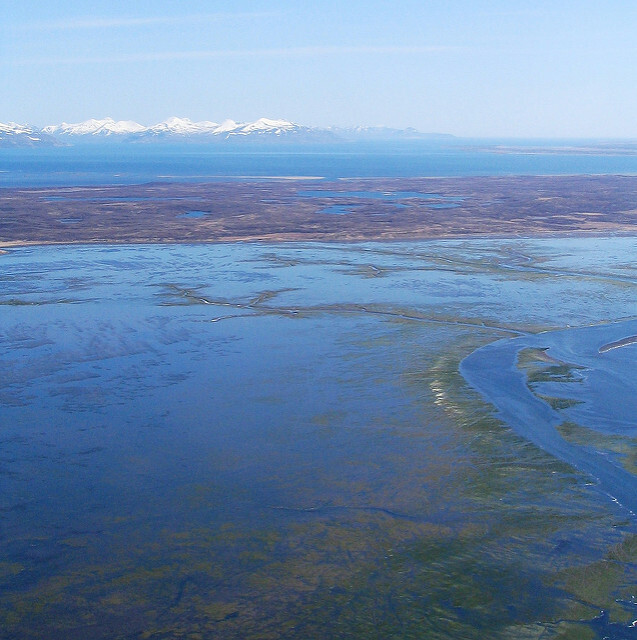 The area includes a narrow isthmus that separates the Izembek and Kinzarof lagoons, which contain some of the largest eelgrass beds in the world. These eelgrass beds in turn support fish, birds, and marine animals like the threatened northern sea otter. 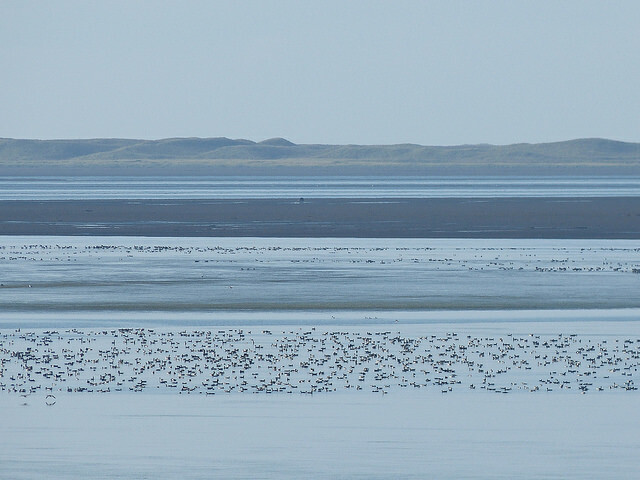 The isthmus serves as a vital stopover for migratory bird species, including almost all of the world’s population of Pacific black brant, over half of all emperor geese, and a last population of Steller’s eiders. The refuge also provides essential habitat for mammals like brown bears, fox, and caribou. Today’s Court decision holds Interior accountable to the laws and processes put in place to govern federal agencies and their decisions that impact public lands.